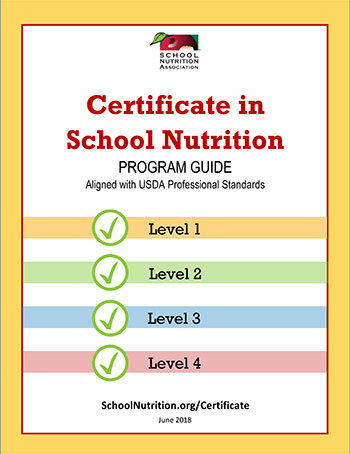 Get started today by downloading SNA's Certificate in School Nutrition Program Guide (pdf) to review the requirements for each level and download the application form. NOTE: Individuals earn their Certificate in School Nutrition for a one-year period. To keep your Certificate current, you must obtain CEUs within your annual certificate period and pay your yearly renewal fee. If your application is incomplete, you will receive a letter listing additional documentation needed to earn your Certificate. Requested documents must be received by SNA within 30 calendar days of receipt of notice. If SNA received your documents after 30 calendar days, you will have to resubmit the entire application and pay the initial certification fee again.